This entry was posted in Accessories, Enemy Club, Hacker (real name), Weather by David Owen. Bookmark the permalink. I occasionally play with a Scottish friend who, like the guy with the Martini tees, doesn’t like to lose any golfing equipment either. In fact, to prove that a tee that we both went to pick up was indeed his, he sent me evidence of the serial number identification as seen below. Obviously you can never be too careful…………………..
Could you leave an explanation of the ‘International Leaf Rule’ when you get a chance please? Many thanks! 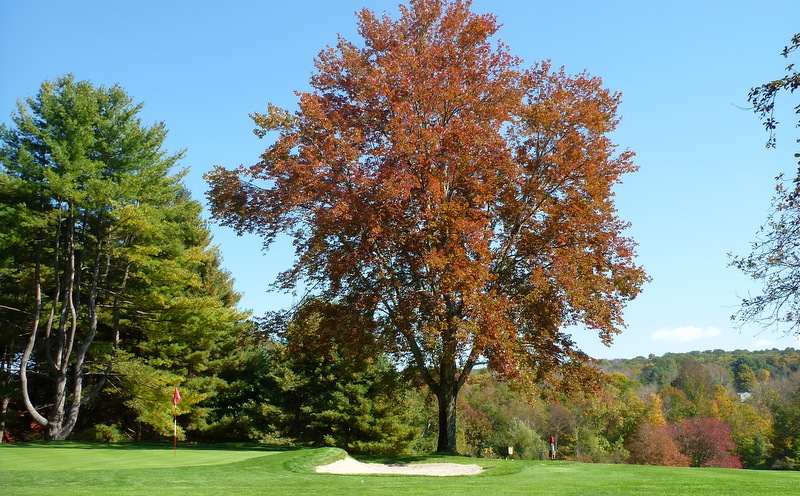 If a course has a local rule allowing the natural accumulation of leaves to be treated as ground under repair, and it’s known or virtually certain that your ball is lost under leaves, you may find the nearest point of relief from the spot where the ball last crossed the outermost limit of the leaves, and take a drop, without penalty, within one club-length of that point, no closer to the hole (Rule 25-1, Decision 33-8/31). Without a local rule, leaves are loose impediments. You can’t move your ball when removing leaves or it’s a one-stroke penalty, and the ball must be replaced. The same is true if you’re searching through leaves and the ball moves. But if your ball is covered by leaves in a bunker or a water hazard, there’s no penalty if the ball moves during a search. Just replace the ball and cover it with leaves, if necessary, so only part of the ball is visible (Rule 18-2, 12-1). If you find your ball in leaves piled for removal, you can drop it, without penalty, within one club-length of the nearest point of relief, no closer to the hole (Rule 25-1b).